Coughs are a common health complaint, which can be triggered by several factors like allergies, colds, dry air, or the flu. But instead of reaching for cough medicine, which is often linked to negative side effects, using essential oils is a safer alternative to relieve your condition. According to guidelines released by the American College of Chest Physicians, popular cough medicines like Mucinex or Robitussin, aren’t 100 percent effective. Worse still, they can cause side effects like constipation, drowsiness, headaches, and nausea. With the right essential oils, you can use a portable aromatherapy inhaler to “soothe the airways, dial down post-nasal drip, and really open up your head.” A portable aromatherapy inhaler is made up of a cotton wick enclosed in a tube-shaped plastic carrying case. Add two drops of peppermint, five drops of ravintsara, and eight drops of laurel leaf essential oils to a blank inhaler. The menthol in peppermint is a natural cough suppressant. Laurel leaf and ravintsara both contain cineole, which can reduce cough frequency. Put the inhaler partly inside your nostril, then inhale deeply. Make a DIY vapor rub. Unlike Vicks VapoRub, a natural vapor rub using essential oils doesn’t contain petroleum. The ingredients in Vicks can be irritants, which can make the body produce more mucus to protect the airway. A study has determined that Vicks VapoRub can increase the mucus secretion and decrease the clearance of the mucus. This DIY vapor rub can calm your cough, clear your chest, eliminate mucus, and relax your body. Just add 15 to 18 drops of healing oils such as eucalyptus, frankincense, lavender, sweet marjoram, tea tree, and thyme to one ounce of unscented lotion. Blend any of the oils together depending on your preference. Essential oils work topically and when inhaled, so breathe in the vapors while you apply the vapor rub on your chest and neck. Aromatherapy baths are more popular, but essential oils can work in the shower just as effectively. Additionally, inhaling the hot, steamy air can help relieve a cough. Set the water as warm as you can stand it, then put several drops of essential oil on the tile behind the shower stream. Just make sure that the water doesn’t hit the oil directly and take a shower. You can use essential oils like black spruce, eucalyptus, laurel leaf, or pine to ease a cough. If you have a particularly bad cold, you can clear your head with steam inhalation. Decreasing the amount of drainage can help decrease cough frequency. Take a ceramic or glass bowl and add four to six cups of steaming water. Add a drop of eucalyptus essential oil to the bowl. Eucalyptus is a natural decongestant and it can help break down mucus and open air passageways. Get the bowl then place it below your face. Take a towel, then drape it over your head. Make sure the towel is covering the bowl. Close your eyes and take deep cleansing breaths. Do a steam bowl for at least 10 minutes several times per day. You can also use black spruce or tea tree essential oil. Take note that the suggestions above are not suitable for children or pregnant or nursing women. 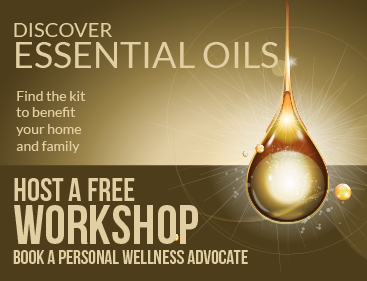 Always consult a healthcare professional before using essential oils if you have health issues. What Are the Best Essential Oils for Diabetes?